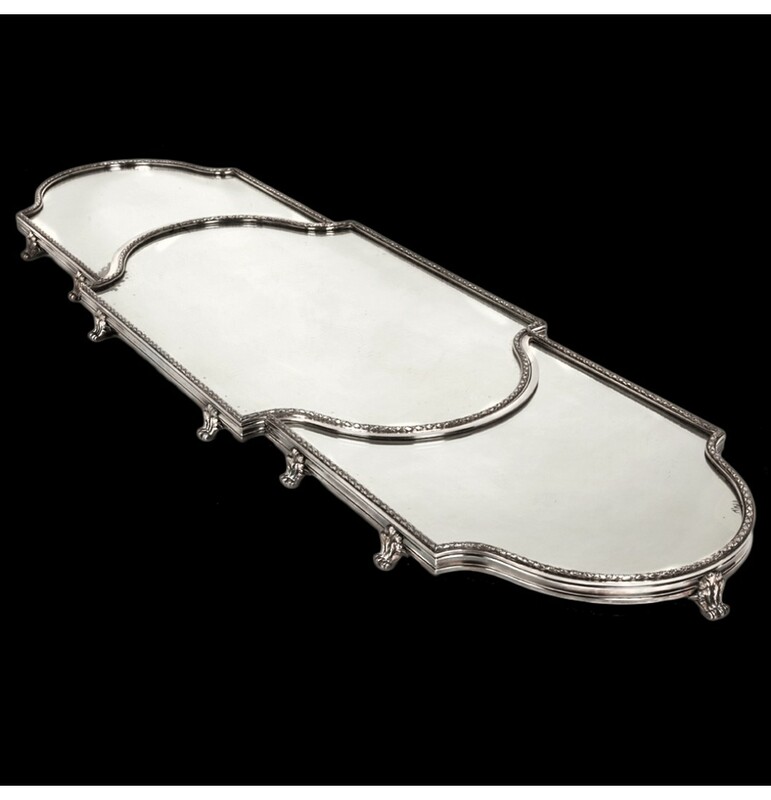 Silver over bronze ‘Surtout de Table’ plateau – mirror top three section table centerpiece . French. 19th century.